Psychic Angel Healing provides professional psychic readings for people in Auckland. 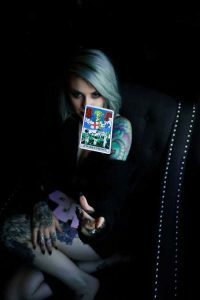 A psychic reading can help provide you with clarity over your life bringing you more power with elevated through vibrations allowing you to alter the course of your life for the better. Get a psychic reading in Auckland today! Let’s face it. Life can be difficult at times for everyone. It can be a real struggle when you’re going through these hard times to think clearly and make the right decisions. Sometimes it can be so difficult to find the right path to take and you just wish that there was a way to take a glimpse into the future or have someone guide you in the right direction. Maybe all you need is a little clarity and for someone to look at the overall situation from a different perspective. My name is Emily Clarke and I am a clairvoyant and psychic based in Auckland. I have been helping people and providing readings for over 10 years now. After experiencing many difficult personal life events at a young age, I discovered my abilities soon after. As I grew older, I began noticing people around me that were going through tough times and took it upon myself to try and help them as best as I could through psychic readings. I also began my Angel Blog to help educate and inform those who are wanting to learn more. Many people find it difficult to find the correct paths to take, a psychic reading can give you the direction you need. I’ve seen many people successfully change their lives in a positive way through a psychic reading. I started the Psychic Angel Healing website as a way to allow me to share my gifts with others and allow them to experience the joy and wonder that comes from clairvoyance. I also was providing Psychic readings in Auckland from my home but having more of an online presence allowed me to better extend my reach to a wider audience ranging from Central Auckland, West Auckland, North Shore, and everywhere in between. I love helping people and it has been very rewarding from the overwhelmingly positive feedback that my clients have had from my readings. Readings – How can a psychic reading help you? I simply love helping people learn to embrace spirituality and get in touch with the supernatural world to make positive changes in their lives. Psychic readings provide you with more clarity over difficult situations and become more self-aware. You will come out with a more positive outlook over hard times. Learn more about yourself and the people around. Auckland is a wonderful place to live and work. I just love being a Kiwi and working as a psychic. I see so many people around me who are unnecessarily miserable and unhappy. I always wish that I could just step in and help everyone, but I am only one psychic so I can’t reach everyone, unfortunately. That is why I sought out to find only the best psychics, clairvoyants, & mediums around to help me, help others! It has been an amazing and rewarding experience seeing how this has grown and how many people we have managed to reach. I provide readings in Auckland and have a range of professional psychic readers available online. Just get in contact with us today to find out how we can help you. Professional, reliable, & accurate clairvoyant and psychic readings for New Zealand and beyond. More spiritual services available!